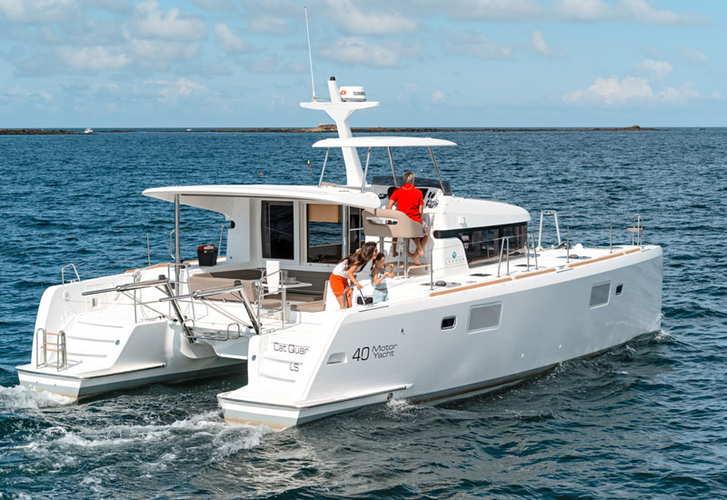 TOMMY is a name of yacht Lagoon 40 MY ,which has been manufactured in 2015. TOMMY is equipped with 12 berths. Beds on the boat are configured in 12 scheme. 4 cabins are located inside the vessel TOMMY. Crew members can feel comfortable on this boat , because there are 4 heads for their disposal. With 2 x 400 L liters in fuel tank you can sail really far and still be independent because of 2 x 300 L liters in tank for water. TOMMY is powered by motor 2 x 75 hp. Yacht's dimensions are: lenght - 11.55 m , beam - 6.53 meters and 1.15 meters of depth. On the sailboat is placed following equipment: Anchor electric windlass, Dinghy, Outboard engine, Gps plotter. . Deposit has value 7000.00 EUR.